Was the addition of star point guard Jonny Flynn exactly what the tigers were missing or was his addition to the tigers just good timing. 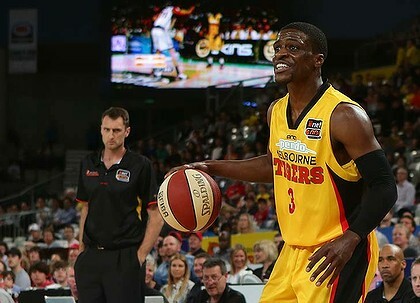 The Melbourne Tigers demolished the Adelaide 36ers by 30 points with a high scoring 96-66 game. Jonny Flynn had a slow start missing his first 8 shots but as a professional that didn't slow him down going on to finish with 12 points, 8 rebounds and 7 assists. Melbourne have started to come together as a team and are playing some good basketball after their win against Townsville last week and now the 36ers. The tigers may just string a few victories together. One of the big differences was the the decrease in turnovers, the Tigers had only 6 turnovers compared to last weeks total of 21. This was due to the ball handling abilities of Jonny Flynn who has brought some class to the Tigers and the players around him have stepped up to another level. Whether they can maintain this run will be something to see in the coming weeks with Flynn adjusting to the NBL game style. Going into the game Gibson was competing well against Flynn and containing him. However Flynn stepped up his game and utilised the players around him. Chris Goulding had a hot hand shooting at 75% from the field and finished with 24 points. Seth Scott also had big game recording a tidy double double with 18 points and 10 rebounds. For Adelaide Anthony Petrie put in a big effort as he does every week and finished with the highest points for Adelaide with 15 points and 7 rebounds but it wasnt enough with Adelaide just looking like they weren't putting in the effort that was required in the fast up and down game. “The tempo of the game was faster, our wings were rewarded for running, our bigs were rewarded for working hard. It allowed our personality to come out a bit." “It’s an emotional league, emotional game. They caught fire and it was like a death by a thousand cuts." It will be great to see how Melbourne back up next week with Flynn getting a chance to adjust to Melbourne's style of play and how well Anstey can coach the team now that they have possibly the best guard in the league.